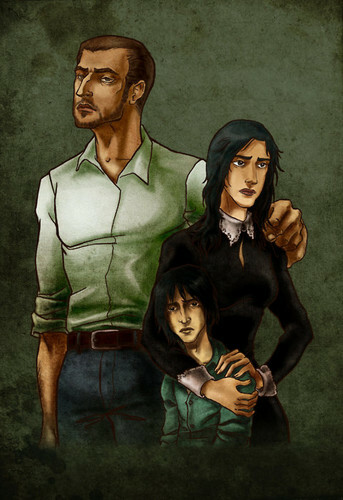 Tobias Snape, Eileen Prince, and little severus. . Wallpaper and background images in the severus snape club tagged: severus snape harry potter tobias snape eileen prince. This severus snape fan art contains animado, cómic, manga, historieta, anime, and dibujos animados. I always wondered what Eileen saw in Tobias--how did she end up being w/a muggle who had no appreciation for magick? I've read the books only once, so I'm sure I missed some nuance. Anyway, glad they had their son.